Did you know some of the most common items have a not-so-common creative backstory? Do you know how Velcro was invented? You’d probably never guess it involved your average, everyday dog walk and some pesky burrs. Or, how about the first webcam? The first webcam came about from some genius (albeit lazy) scientists at Cambridge to keep an eye on the levels of their coffee pots to save themselves fruitless trips to the break room. Yes, really. These products were born out of ordinary circumstances by some highly creative individuals that challenged themselves to think just a little bit differently to solve a problem. Here are a few recent examples of some amazingly creative marketing campaigns featuring some of the cleverest promotional products we’ve seen in years. Enjoy! “It’s probably because you’re always on that phone!” – Someone’s mother at this very moment. And she has a great point — we are all very attached to our mobile devices. But what’s that shiny, new phone worth without a data plan? That was the very question asked by VML Singapore for Circles.Life, the Singapore-based digital telco. The answer? It might as well be a brick. Literally. 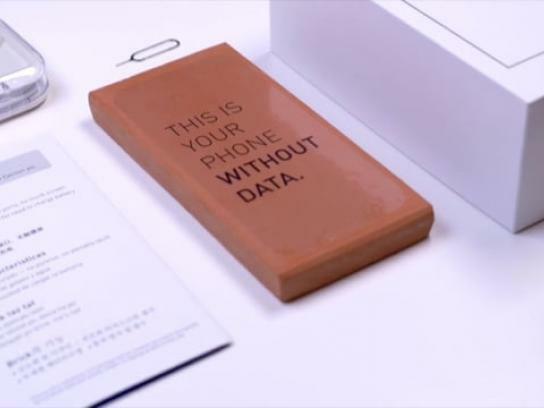 Meet The Brick Phone (wouldn’t you love to be a fly on the wall at this creative meeting?!). VML shipped out these branded bricks to influencers and bloggers in packaging nearly identical to the latest mobile phones. Check out their video to see some of the recipients’ faces when they discovered they received the hottest, latest… brick. 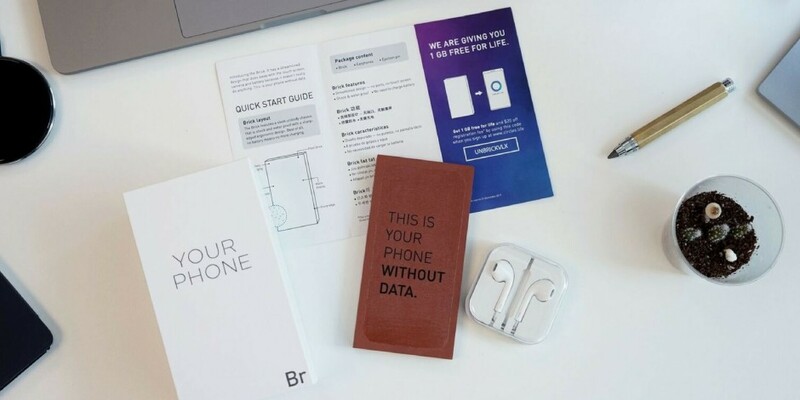 To “un-brick” their phones, recipients were gifted an additional gig of data per month (for life!) and a discount on registration fees on a no-contract plan with Circles.Life. Whoever draws the shortest straw at my house has to clean up the wrapping paper frenzy in the floor following a great holiday. Wasting tons of paper each year on gift wrap, our world could use a better solution. So that’s just what BBDO Belgium for Decathlon created. 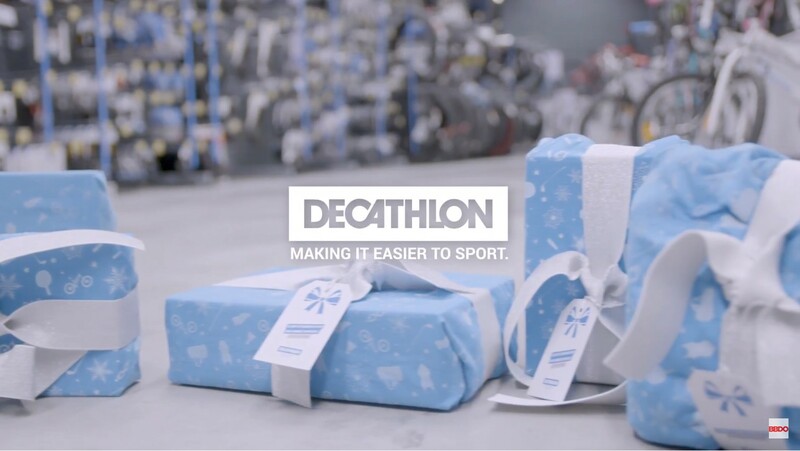 Meet the Decathlon Sporting Gift Wrap, the gift that literally keeps giving! Foregoing your traditional wrapping paper, Decathlon used their Nabaiji sports towels. And instead of ribbons you curl and then toss in the trash, Decathlon wrapped gifts in their Domyos resistance bands they sell in-store for a clever twist. It is no secret that direct mailers aren’t always the most effective method of marketing these days. But with a little creative twist, or should we say treat, Rethink Canada came up with a brilliant campaign for Bulk Cat Litter Warehouse. Enter the catnip scented mailer. 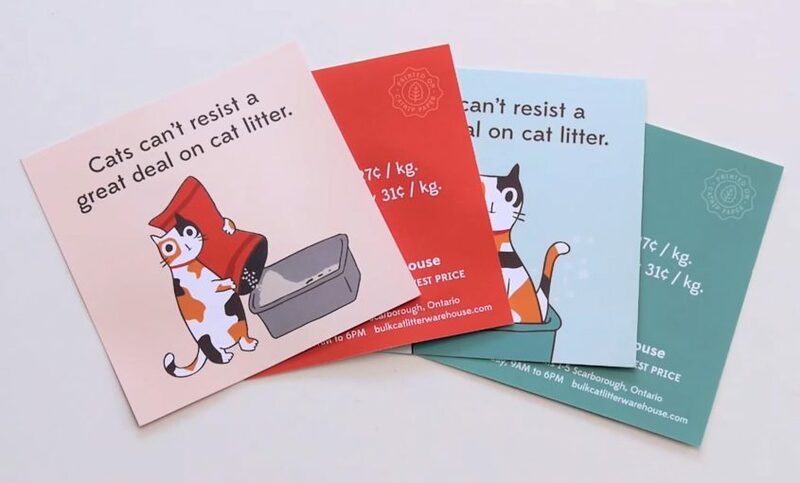 Directly targeting their end-users, these mailers ended up flying threw mailboxes, residing on coffee tables, and hanging out on kitchen islands where cats couldn’t resist their delicious scent. 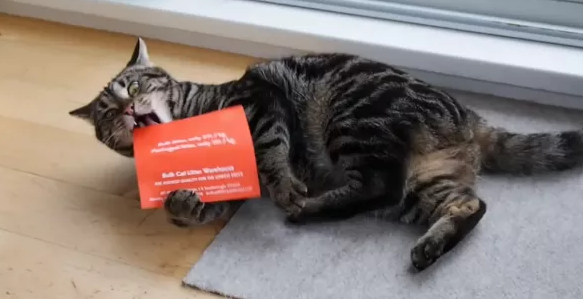 Hilariously rolling around with the mailer caught the attention of the owners and thus the messaging — visit Bulk Cat Litter Warehouse for discount cat litter! It’s been proven that advertising is more effective when targeting more than two senses. Cute graphics and messages for the owner? Check. A scent that drives cats bonkers? Check, check. What’s more, Rethink Canada created a video to accompany their direct mail campaign to boost impressions. Because it is also a proven fact that absolutely no one can resist a funny cat video! There are 22 million visually impaired people in India. It’s a somber fact that many of them don’t have access to education. Braille learning tools are incredibly expensive and oftentimes not readily available. So, Serviceplan Germany teamed up with the LV Prasad Eye Institute in India and leading educational toy company Ravensburger to create Fittle, the world’s first 3D-printed Braille puzzle. 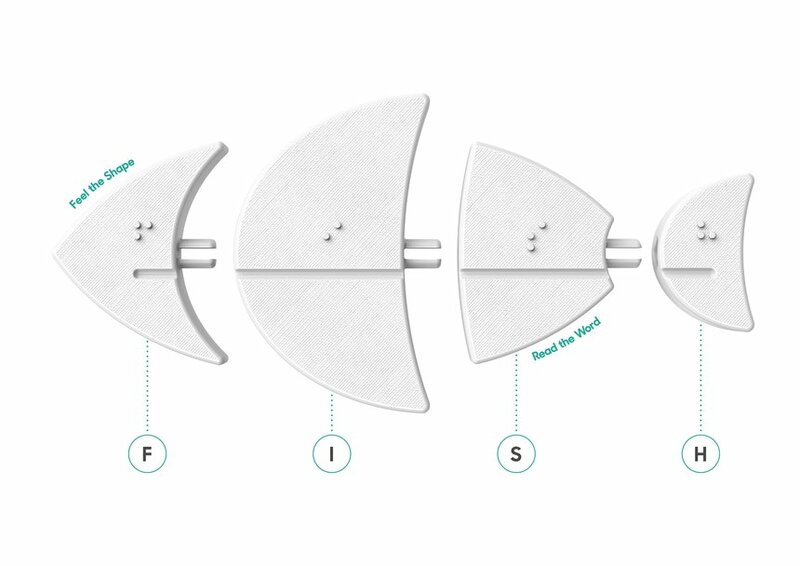 A Braille reading device can cost over $1,000, but Fittle is 3D-printed for just a few cents per puzzle. This creative product is giving millions of visually impaired children in developing countries new hope for learning and in a fun, engaging way. The puzzles are distributed for free at the LV Prasad Eye Institute centers across India. The models for the puzzles are also available on their website to download for free, so anyone in the world can access them. “Try to make a creative bet every day. Make something and put it out into the world. For more creative inspiration, check out more of our promotional product idea posts and marketing inspiration blogs!